Time once again for the eating of the green! Ever notice how around St. Patrick’s Day, everything starts turning green? It’s not just what people are wearing – it’s what they’re eating too. Suddenly, instead of plain old vanilla shakes at McDonald’s, there are minty-green Shamrock Shakes. Instead of plain Oreo cookies, there are mint Oreos with a bright green filling. Even red velvet cake magically changes to green velvet cake (seriously, that’s a thing). This year, I decided I wanted a piece of this green-food action. And since mint seems to be a popular choice for green treats, I decided I needed to do something special with mint. The only question was, what should it be? 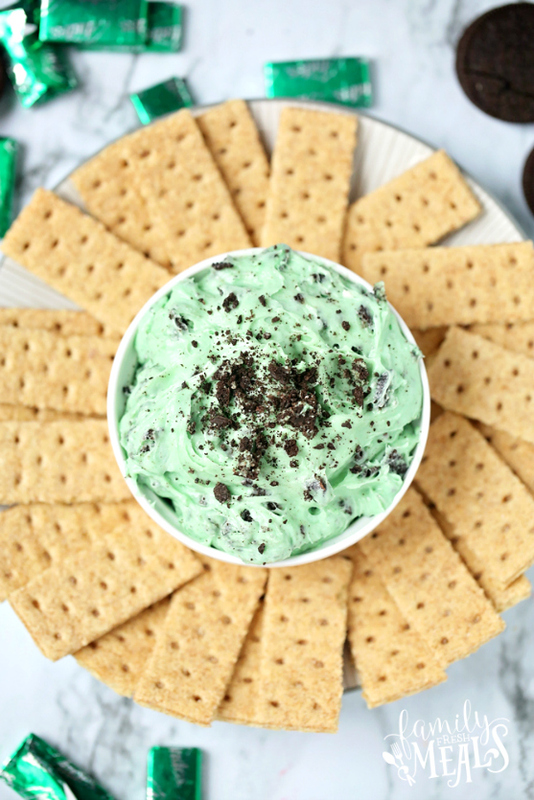 What would be the perfect, minty treat for a party? If you know me, it’s no surprise that my solution was a dip. 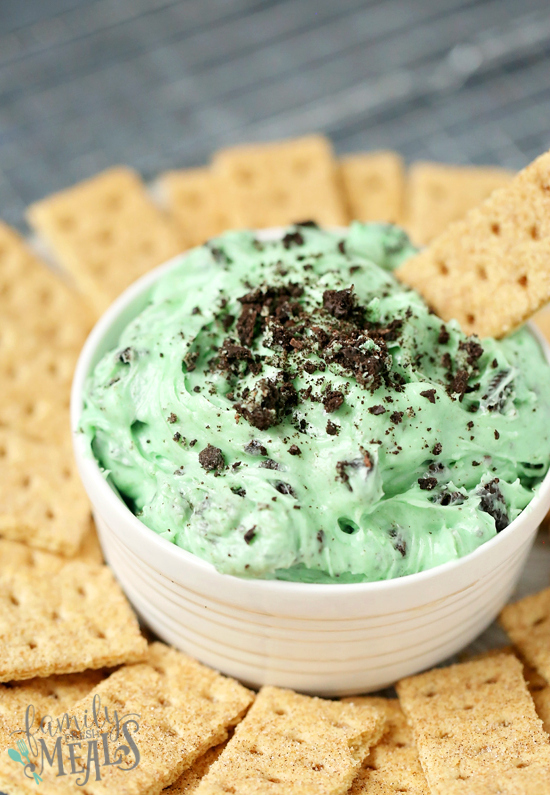 This Mint Chocolate Chip Dip is like everyone’s favorite green ice cream in dip form. 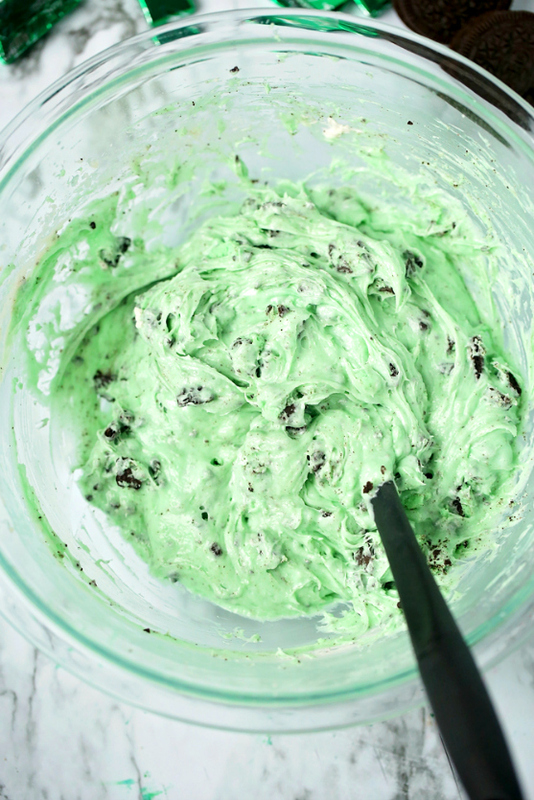 It’s got a simple, creamy base of sweetened cream cheese and whipped cream, dressed up with green food coloring and a touch of peppermint oil. Some crushed Oreos add a little chocolate flavor to harmonize with the mint, and chopped Andes candies pump up the flavor still more. 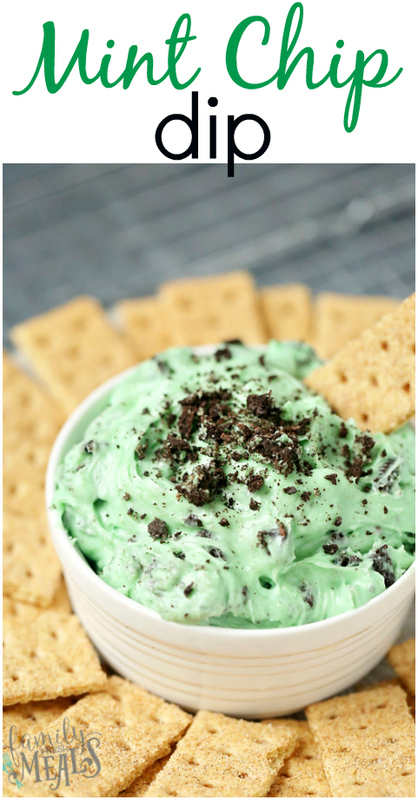 This choco-minty dip is great with fruit, graham crackers, or any kind of wafer-like cookie. And the cheery green color makes it a perfect centerpiece for any St. Patrick’s Day spread. 1. 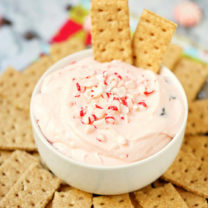 Blend together cream cheese, whipped cream, sugar, and peppermint oil. 2. 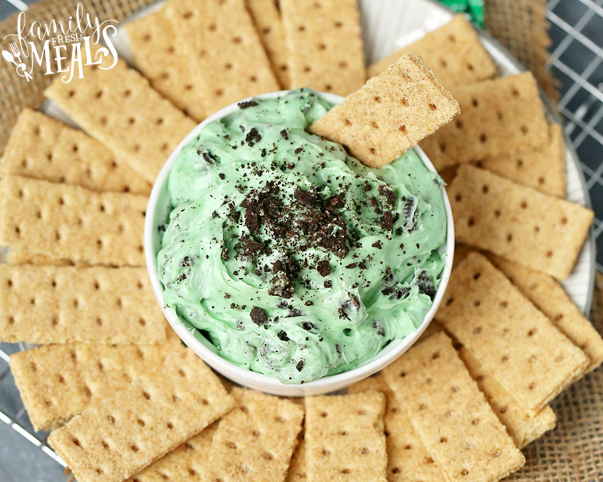 Stir in food coloring and then fold in Oreo cookies and Andes mints and then transfer to a serving bowl. 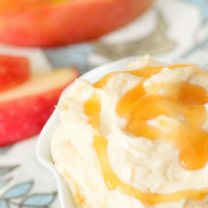 Chill in the refrigerator for 15 minutes, then serve with graham crackers or shortbread crackers! 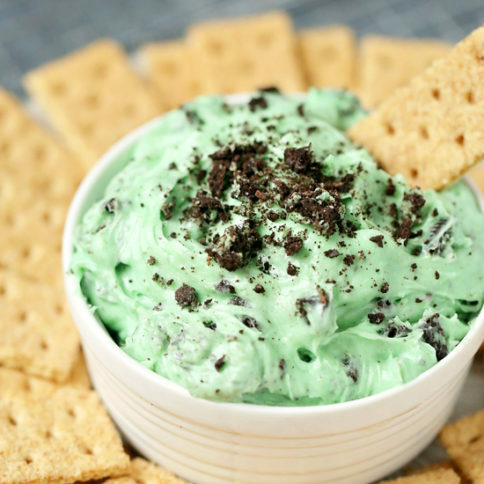 This Mint Chocolate Chip Dip is like everyone’s favorite green ice cream in dip form. 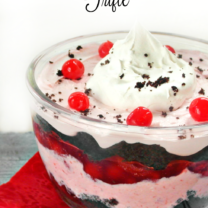 It’s got simple, creamy base with a hint of mint! 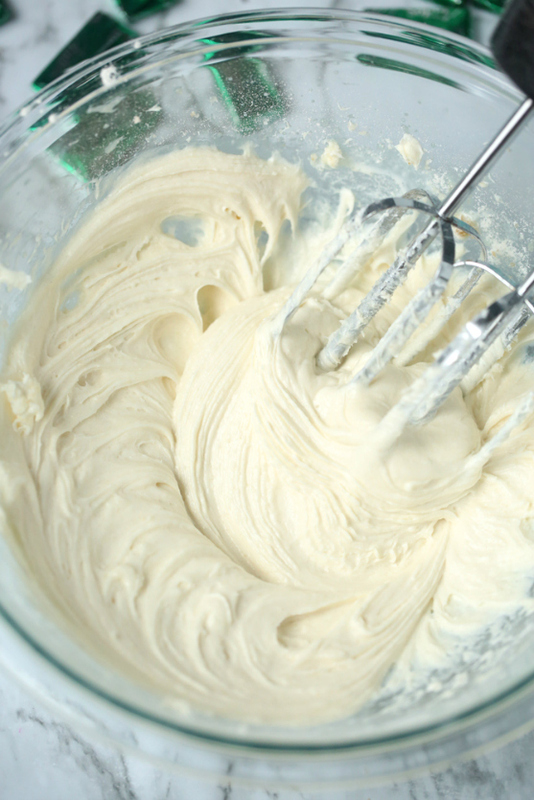 Blend together cream cheese, whipped cream, sugar, and peppermint oil. Stir in food coloring and then fold in Oreo cookies and Andes mints and then transfer to a serving bowl. 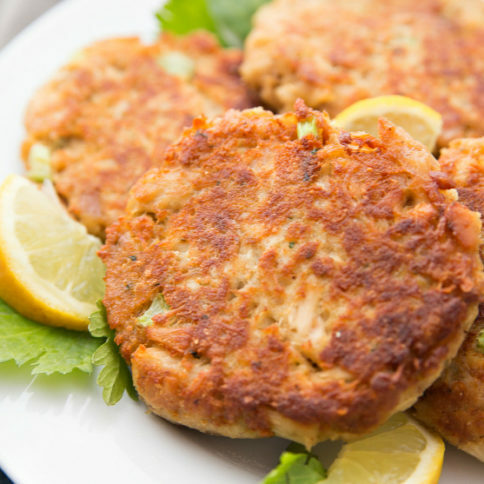 Chill in the refrigerator for 15 minutes, then serve with graham crackers or shortbread crackers! Oh man, this looks so good! 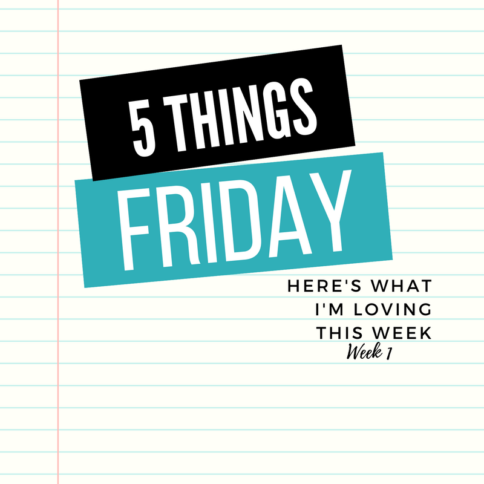 I love anything Andes!